Friday night we went down to OMSI and took some photos of downtown Portland at night. 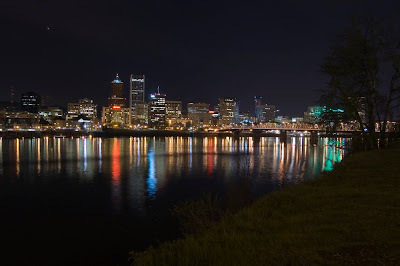 This is taken from the east back of the Willamette river looking west along the Portland Esplanade. I think that is Venus in the upper left corner.